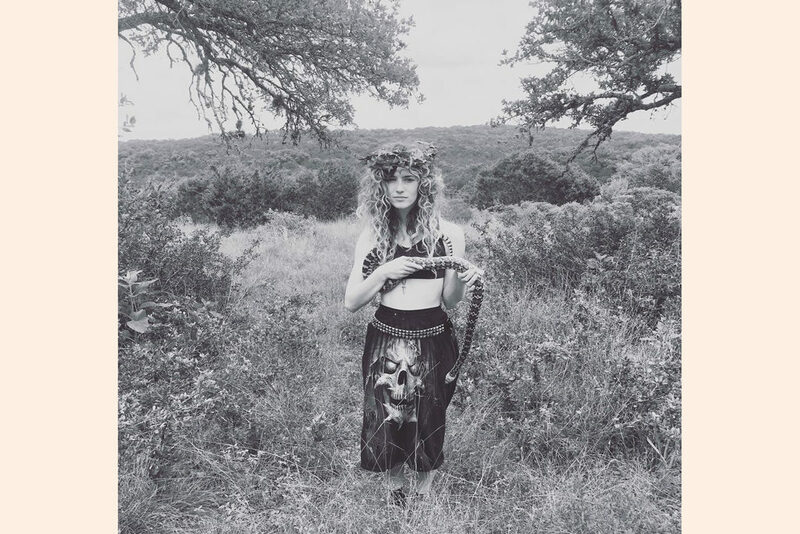 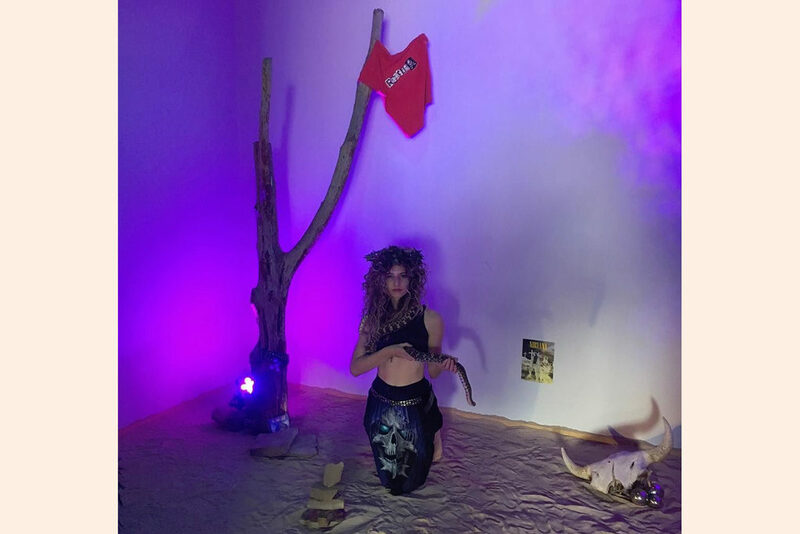 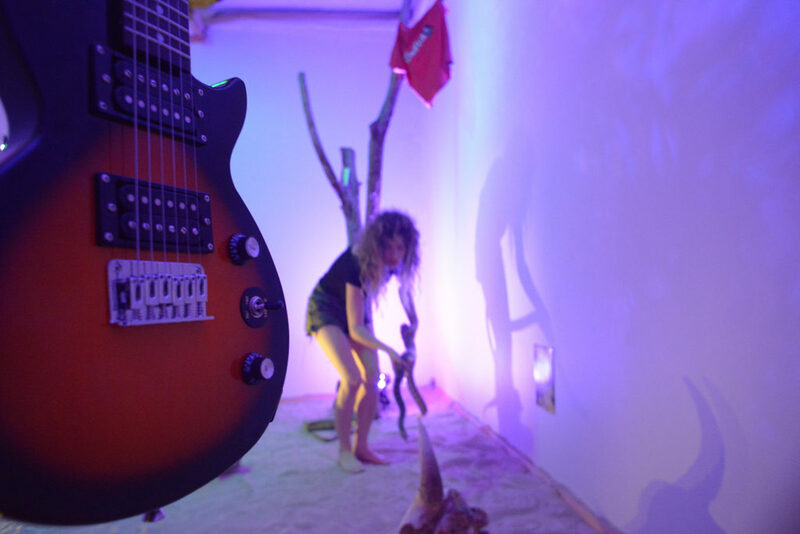 For the past three and a half weeks, Taraka Larson has been spending her time living in a gallery transformed into a post-apocalyptic Garden of Eden with a seven foot long native gopher constrictor. 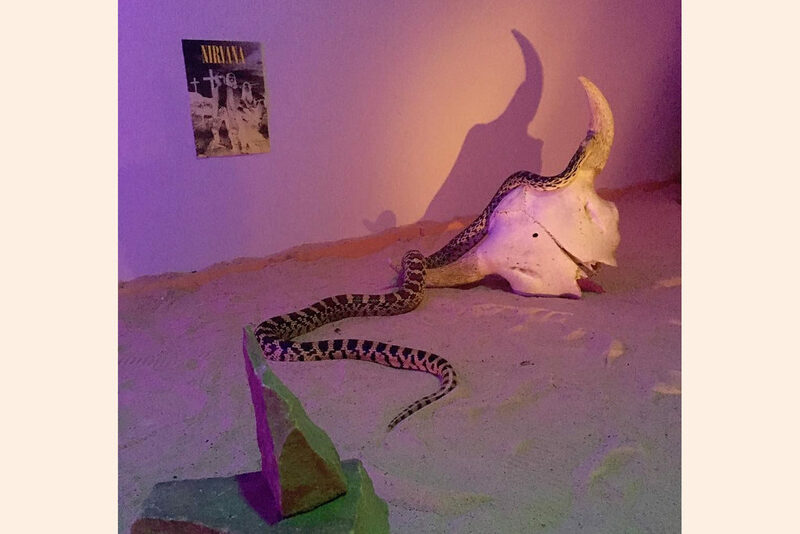 Inspired by the failed Biosphere 2, a series of recurring serpent nightmares, and Joseph Beuys’ short stint living in a gallery with a wild coyote, Larson envisions a radical utopian living experiment where both human and snake can co-exist together in harmony. 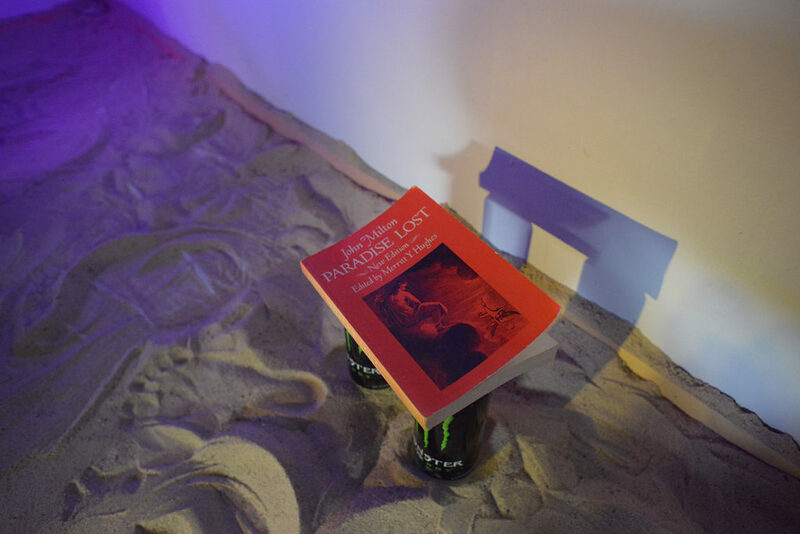 The contained space becomes like a sealed hermetic chamber of sorts, with the aim to regain pieces of lost paradise and heal the unconscious rifts within the individual and collective psyches, post-fall. 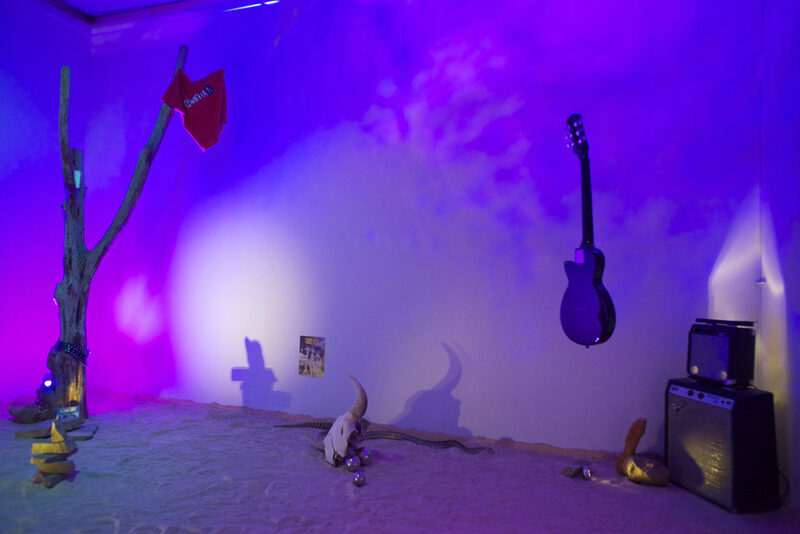 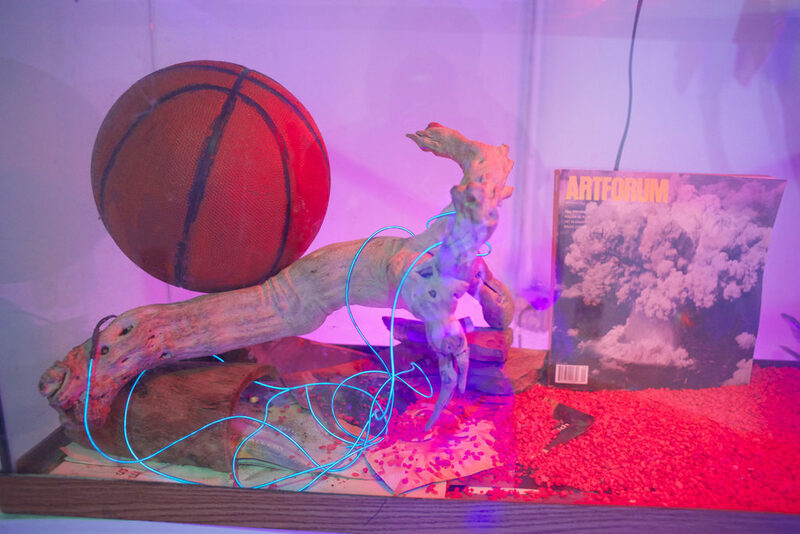 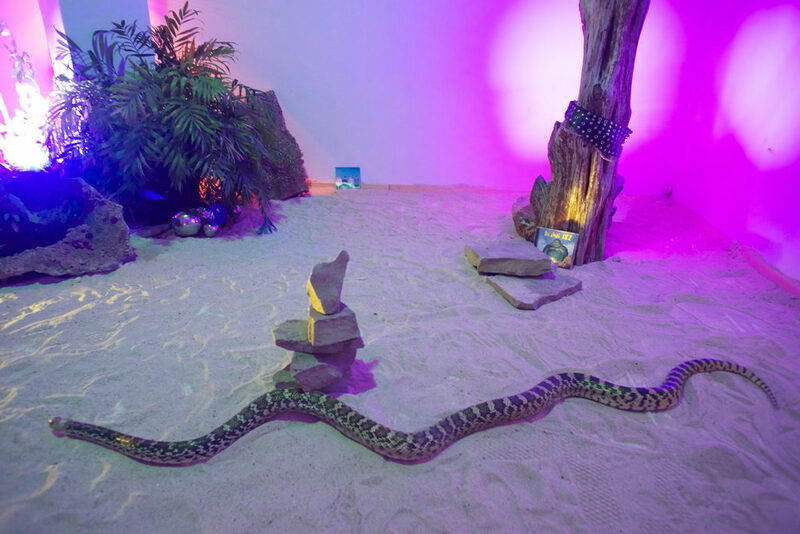 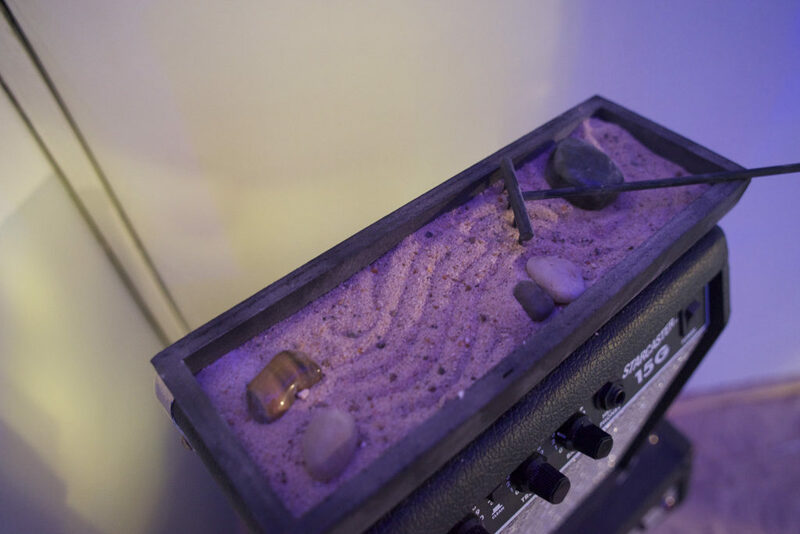 The “garden” weaves together simulated elements of the snake’s native desert habitat, as well as dream-like slices of Larson’s pre-internet youth growing up in a small redneck town outside of Austin listening to punk music and learning how to play guitar. 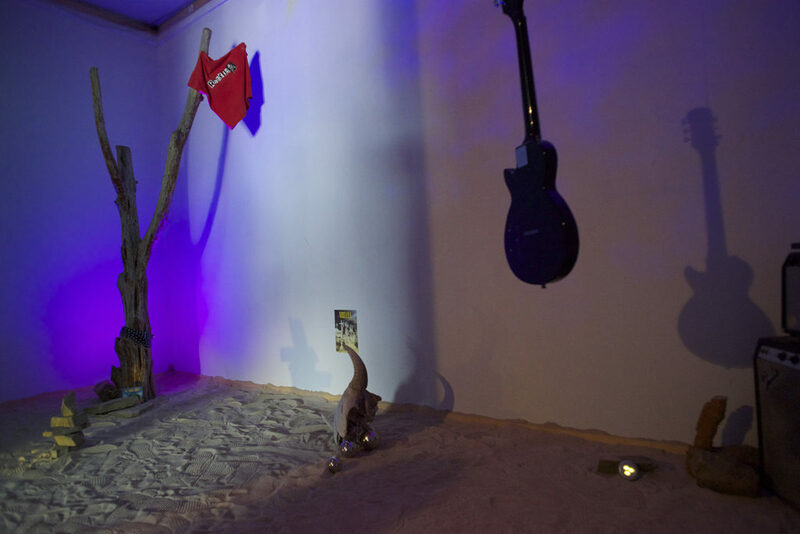 Each shred of memory contains a vague reference to a personal “paradise lost”, be it Blink 182’s Buddha album, a Nirvana poster, or Greenday’s “Welcome to Paradise”. 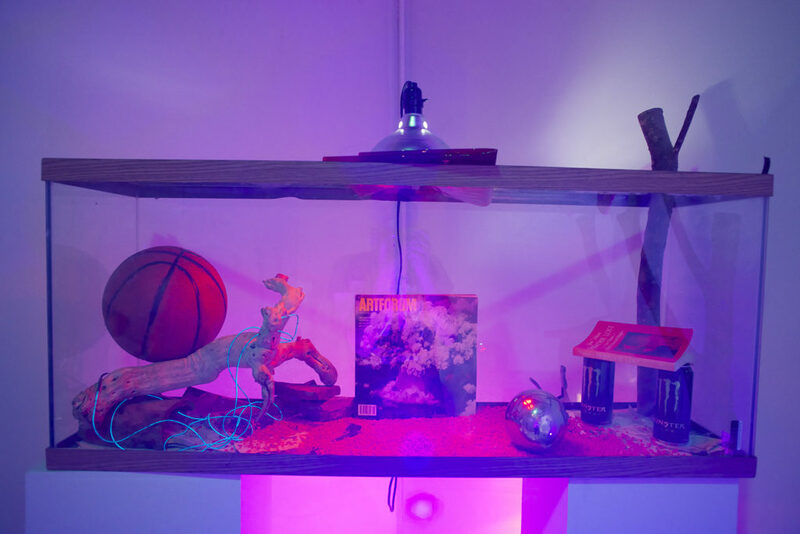 Part of the co-habitation process has involved writing pop punk homages with the snake and tending to various herb and vegetable plants growing throughout the space. 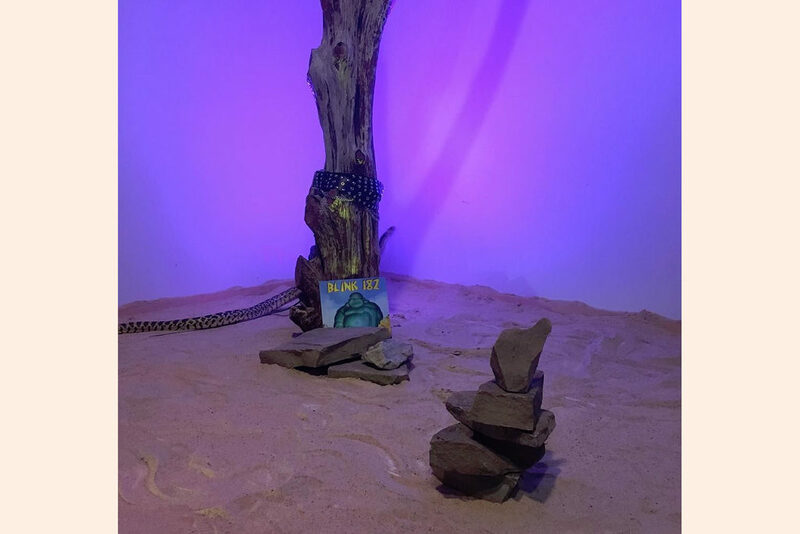 At the end of the residency, one of these songs will be cut on a lathe and pressed into pizza dough as an ephemeral, edible sonic artifact, a “pizza record”, made from the various plants grown inside the garden. 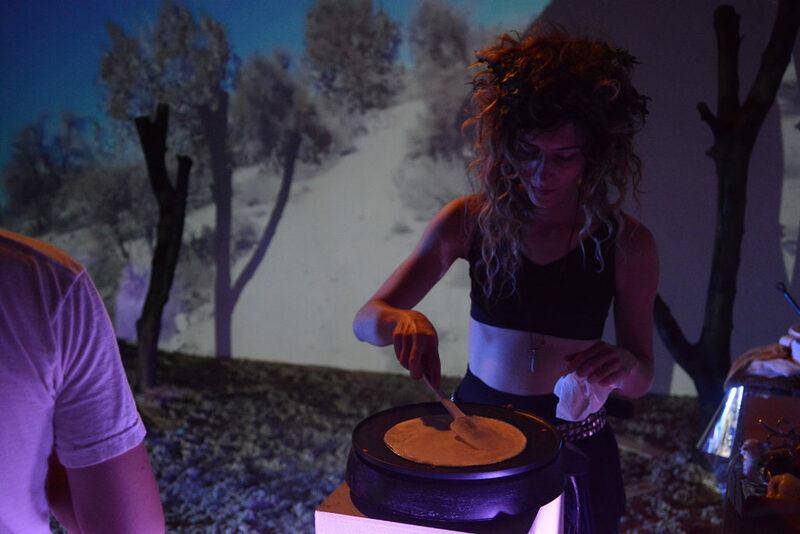 In the vein of teenage utopias, a pizza party will be thrown at MoHA on May 29th and 30th where each person will receive their own personal pizza record in a custom-painted pizza box which they can then decide to play on a turntable, or just allow their digestive systems to act as the needle passing over the grooves, bringing up questions of how utopia is consumed and internalized. 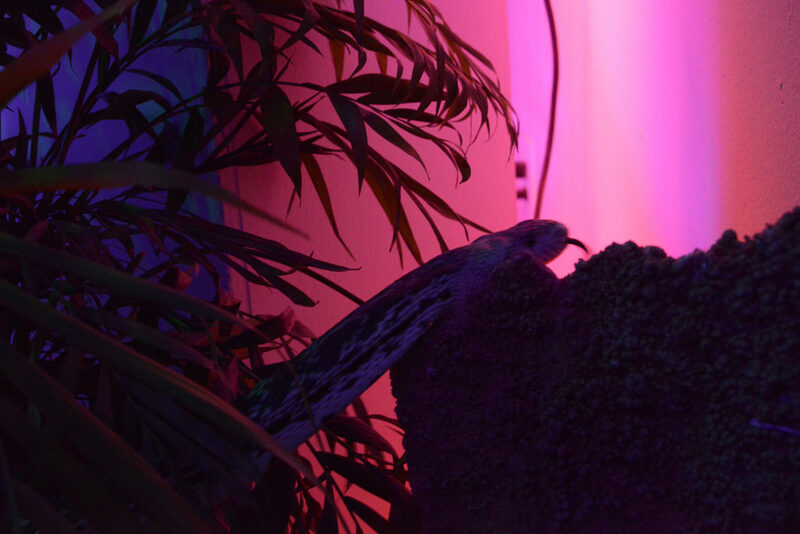 The final phase of the project is to then destroy the garden and release the snake into the wild, shattering the captive illusion of simulated paradise to cultivate the one within.